Jupai Holdings Ltd (NYSE: JP), a third-party wealth management service provider in China, today announced changes to the senior management team and board of directors of the company. Liang Li has resigned as the chief operating officer of the company, effective immediately, due to personal reasons. Linda Wong has been appointed as the COO and has resigned as the company's independent director and a member of the audit committee and nominating and corporate governance committee. Guoping Yang, who is currently an independent director of the company, has been appointed as a member of the audit committee of the Board to replace Ms. Wong. Hongchao Zhu, who is currently an independent director of the Company, has been appointed as a member of the nominating and corporate governance committee of the Board to replace Mr. Wong. NetEase Cloud Music, one of China's leading music streaming platforms owned by NetEase Inc. (NASDAQ: NTES), said it has entered into a partnership with CUBE Entertainment, one of the largest entertainment companies in South Korea. Under the partnership agreement, NetEase Cloud Music has been granted access to CUBE Entertainment's complete music catalog, including recordings from performers including BTOB, CLC, PENTAGON, Yoo Seon-Ho and (G)I-DLE. The strategic alliance with CUBE Entertainment expanded NetEase Cloud Music's Korean music library as the company looks to promote Korean music in China. Launched in April 2013, NetEase Cloud Music, with more than 600 million registered users, is among the most popular music platforms in China, targetting younger demographics. Shares in Pingtan Marine Enterprise Ltd. (Nasdaq: PME) dropped more than 6 percent in early trading Thursday to $2.43 apiece despite the fishing company’s announcement that an additional dozen of its vessels have left the port of Fuzhou for operation in the international waters of the Indian Ocean. The large-scale squid jigging vessels have been modified and rebuilt according to Pingtan’s renovation project this year, the company said. Of the 27 vessels undergoing remodeling, 8 have yet to be deployed to sea. (Reuters) - Ant Financial Services Group, Chinese e-commerce giant Alibaba Group Holding Ltd.’s (NYSE: BABA) fintech affiliate, is in advanced talks to buy British currency exchange startup WorldFirst in a deal that could be worth more than 500 million pounds ($632.5 million), Sky News reported, citing sources. Ant Financial, China's biggest online payments platform, has been in talks with WorldFirst for several months, according to the report. "We don't comment on market rumors," an Ant Financial spokesperson said, when asked about the report. WorldFirst did not immediately respond to a request for comment. The Sky News report also said that it was unclear whether existing investors would retain a stake in WorldFirst, which was founded in 2004 in the basement of a house in South London. BEIJING (Reuters) - Business confidence among entrepreneurs in China worsened in the fourth quarter compared with the previous one, and was at the lowest since the second quarter of 2017, according to a survey by the People's Bank of China published on Monday. The entrepreneurs' confidence index dropped to 67.8 percent in the fourth quarter, 3.4 percentage points lower than in the third quarter, the central bank survey showed. A separate PBOC survey of urban households showed a decline in the number of respondents believing housing prices will continue to rise in the next quarter. It found that 27.4 percent expect a price increase, down from 33.7 percent in the survey done three months ago. WASHINGTON (Reuters) - The United States and China might not reach a trade deal at the close of a 90-day negotiating window unless Beijing can agree to a profound overhaul of its economic policies, White House trade adviser Peter Navarro said. In an interview with Japanese business daily Nikkei published on Friday, Navarro said it would be "difficult" to strike a deal without China being ready for a full overhaul of its policies for trade and industry. Link Motion Inc., (NYSE: LKM), a smart car and smart ride company, today announced that Larry Chi, co-chairman of the company, has resigned from the company's board of directors due to personal reasons, effective as of December 19, 2018. Chi informed the company that his resignation did not result from any disagreement with the company on any matter relating to the company. 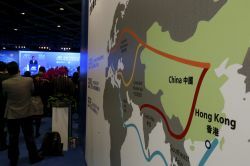 WASHINGTON (Reuters) - The United States and more than a dozen allies are expected on Thursday to condemn China for efforts to steal other countries' trade secrets and technologies and to compromise government computers, the Washington Post reported. The U.S. Justice Department is expected later in the day to unveil criminal charges against hackers affiliated with China's main intelligence service for an alleged cyber-spying campaign targeting U.S. and other countries' networks. The suspected hackers are expected to be charged with spying on some of the world's largest companies by hacking into technology firms to which they outsource email, storage and other computing tasks. The governments are expected to accuse Beijing of supporting the massive hacking operation, known as Cloudhopper, saying that it violated the terms of agreements reached in late 2015 to curb cyber espionage for commercial purposes. SHANGHAI (Reuters) - China's central bank left its short-term borrowing rates unchanged on Thursday, choosing not to follow its U.S. counterpart, which raised its benchmark rate just hours earlier. The decision follows the bank's announcement Wednesday of a new lending tool, the Targeted Medium-Term Lending Facility (TMLF), aimed at spurring lending to smaller firms. The People's Bank of China (PBOC) kept the interest rate on seven-day reverse bond repurchase agreements at 2.55 percent, and kept the 14-day reverse repurchase rate at 2.7 percent, it said in a statement Thursday. On Wednesday, the U.S. Federal Reserve raised its benchmark fund rates, the fourth such increase this year, but the PBOC has only followed suit once, increasing its short- and medium-term interest rates by 5 basis points in March. The world's two largest economies have adopted diverging policy paths this year, with China leaning towards an easing monetary and credit stance to reduce financial costs for private business and support the broad economy. The PBOC has made four targeted reductions to the amount of money that banks are forced to hold in reserve, known as reserve requirement ratios (RRR), so far this year. The 7-day reverse repo is a type of short-term loan the central bank uses to increase liquidity and influence other rates in the banking system. AirMedia Group Inc. (Nasdaq: AMCN), an operator of out-of-home advertising platforms in China, today announced that Richard Wu, the chief financial officer of the company, had tendered his resignation as the CFO, effective from December 31, 2018. In his letter of resignation, Mr. Wu stated that he wish to retire from his professional capacity in order to spend more time with his family. The board accepted Wu's resignation and appointed Herman Guo, chairman and chief executive officer of the company, as the Interim CFO until a suitable candidate for CFO is identified. Huazhu Group Limited (Nasdaq: HTHT), a multi-brand hotel group in China, today announced that its board of directors has declared a cash dividend of 34 cents per ordinary share, or 34 cents per American depositary dhare. Holders of the company's ordinary shares or ADS at the close of trading on January 2, 2019 will be entitled to receive the cash dividend. Citibank, N.A., depositary bank for the company's ADS program, expects to pay out dividends to ADS holders on or around January 15, 2019. The total amount of cash to be distributed for the dividend is expected to be approximately $100.1 million. As of September 30, 2018, the company had approximately $662.1 million in cash, cash equivalents and restricted cash. LightInTheBox Holding Co. Ltd. (Nasdaq: LITB), an online retailer, today announced the closing of its strategic acquisition of Ezbuy Holding Co. Ltd., a Singapore-based leading cross-border e-commerce platform. The signing of the transaction was previously announced on Nov. 8. As a result of the transaction, the board appointed Jian He as chief executive officer and a director, Meng Lian as a director, and Zhiping Qi as vice chairman on Nov. 16. Last month, LightInTheBox agreed to acquire Ezbuy for $85.55 million in exchange for non-interest bearing, one-year convertible promissory notes. The resignation of Zhiping Qi, the company's new CEO, was one of the closing conditions for the acquisition of Ezbuy and was not due to any disagreement with the company, LightInTheBox has previously said. WASHINGTON (Reuters) - U.S. President Donald Trump on Friday sounded an optimistic note about negotiations with China on trade issues, but did not offer any details in an early morning tweet, as major companies worried about how the arrest of a top Huawei executive would affect relations between Washington and Beijing. "China talks are going very well," Trump wrote. Baidu Inc. (Nasdaq: BIDU), China's top internet search provider, announced today it priced its offering of $250 million of notes by a reopening of the company's existing 4.375 percent notes due 2024. The notes are expected to be listed on the Singapore Exchange Securities Trading Limited. 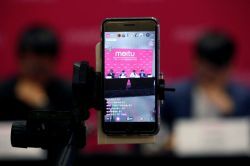 Baidu said it expected to receive net proceeds from the offering of approximately $249 million, after deducting underwriting discounts and commissions and estimated offering expenses. The company intends to use the net proceeds from the offering to repay existing indebtedness and for general corporate purposes. The joint bookrunners of the offering are Goldman Sachs (Asia) L.L.C. and J.P. Morgan Securities LLC. IQiyi Inc. (Nasdaq: IQ) said today it closed the previously announced offering $750 million of convertible senior notes due 2023. The amount included the exercise of an option by investors to purchase an additional $100 million of notes beyond the original offering. The Beijing-based company, a top online entertainment service provider, said it received net proceeds of approximately $735.6 million after deducting discounts and commissions and estimated offering expenses. China Ceramics Co. Ltd. (Nasdaq: CCCL), a leading maker of ceramic tiles in China, announced it completed a previously announced public offering of 1 million units to purchase up to 1 million shares of common stock and 500,000 warrants. The unit was priced at $1.27 and the 5-year warrants exercisable at $1.27 per share. The company said it expected to receive net proceeds of approximately $1.06 million. China Ceramics plans to use the proceeds from the offering to fund inventory, distribution expenses, vendor obligations outside of the PRC, as well as for general corporate and working capital purposes. Dawson James Securities Inc. acted as the Exclusive Placement Agent for the offering. IQiyi Inc. (Nasdaq: IQ) announced today the sale of an additional $100 million in aggregate principal amount of its 3.75 percent convertible senior notes due 2023. The additional notes were sold under the same terms of the previous sale of $650 million of notes on Nov. 30 and were expected to settle on Dec. 4. The aggregate proceeds from the offering, net of fees and estimated offering expenses payable by iQIYI, are about $735.6 million, the company said. IQiyi plans to use the proceeds to expand and enhance its content offerings, to strengthen its technologies and for working capital and other general corporate purposes. Shares in Autohome Inc. (NYSE: ATHM) jumped more than 7 percent Monday afternoon after Macquarie Group Ltd. initiated coverage of the Chinese auto sales platform with an “outperform” rating. 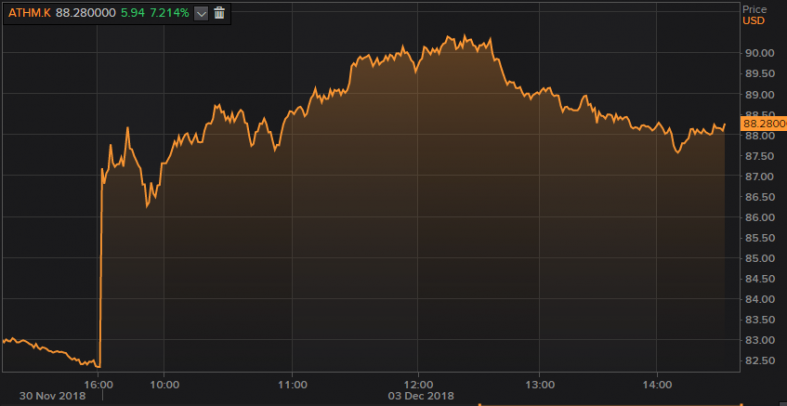 Among the bursting Chinese ADSs Monday after the U.S.-China trade ceasefire, Autohome was one of the top gainers after analyst Wendy Huang at the Australian financial group issued a positive guidance on the company. Intraday, it was trading up $5.94, at $88.28 per American depositary share. According to Wall Street Journal, Ant Financial today appointed Alibaba Group Holding Ltd. senior executive Hu Xiaoming as its new president. Mr. Hu, 48 years old, was most recently the president of Alibaba Group’s cloud-computing business. He joined the e-commerce giant in 2005 and was involved in the early development of Alipay, the popular mobile-payment network Alibaba later spun out to create Ant. Hollysys Automation Technologies Ltd. (Nasdaq: HOLI), a provider of automation and control technologies and applications, announced it has recently won contracts with a total value of $48.6 million. The largest contract, which has a value of $38.2 million, called on the company to provide 98 sets of Automatic Train Protection for high-speed trains. A second contract, worth $10.4 million, was for Hollysys to provide to the Henan section of the Zhengzhou-Wanzhou High Speed Railway a comprehensive set of highway signaling products. "We feel excited about the significant high-speed rail contract win, which demonstrates our solid technology capability and our key market position," he company said in a statement. "In the future, Hollysys will continue to work closely with both national and provincial railway authorities. Leveraging our strong R&D capability, effective management and high-quality products and services, we will continue to make more contribution to China's railway construction and explore the vast rail and subway opportunities both in China and abroad, and to create value for our shareholders." Hollysys shares were trading up slightly more than 1 percent to $19.18 per share in New York today. Huami Corporation (NYSE: HMI), a smart wearable technology, today announced that it has entered into an agreement with Timex Group, a global leader in watchmaking for more than 160 years. Together, the companies will explore opportunities to develop new products and increase global presence in the smart wearables marketplace, pairing Timex's longstanding expertise as watchmakers with Huami's artificial intelligence technology, App design and manufacturing capabilities, to develop a new generation of smart watches. In addition, the companies expect to explore and develop value-added services including e-payment, weight management, sports, fitness, and health care related services for users by leveraging Huami's cloud service platform and AI Technology, and Timex's unrivaled vertical integration capabilities in watchmaking. Aurora Mobile Ltd. (Nasdaq: JG) reported today that its revenue jumped 116 percent to $28.7 million during the third quarter, while its net loss dropped 63 percent to $1.3 million from a year ago. Despite the improved financial performance, the stock of the Shenzhen company, which provides big data solutions to mobile app developers in China, ended Tuesday 16 cents lower on Wall Street, at $6.06 per American depositary share. Aurora Mobile has initiated today a share buyback program to purchase up to $10 million of its ADSs over the next six months. Fanhua Inc. (Nasdaq: FANH) set its regular quarterly dividend at 25 cents per American depositary share, to be paid on Dec. 20 to shareholders of record as of Dec. 5. The Guangzhou-based financial services provider plans to release its third-quarter results on Nov. 20 after the market closes. Shares in the company were trading down 2 percent Monday afternoon at $23 per ADS. China Commercial Credit Inc. (Nasdaq: GLG), a luxury car rental service provider in Beijing, has appointed Jiaxi Gao as its new chief executive officer, president and a director effective Nov. 20. Gao replaces Chengguang Kang. Mr. Gao served as the founder and CEO of Beijing Lexiang Technology (Beijing) Co. Ltd, a provider of auto finance services in China, from March 2016 to May 2018. Prior to that, Gao served as product architect for Baidu from January 2015 to February 2016. From August 2012 to August 2014, Gao was the founder and CEO of Beijing Kuwangke Technology Co., Ltd., which operated the video media app LEBO. Gao holds a bachelor’s degree in composition from Shenyang Conservatory of Music. The company also announced that the Compensation Committee approved issuance of 800,000 restricted shares as inducement for Gao to join the company with the shares scheduled to vest in four quarterly installments starting from January 2019. ZTO Express (Cayman) Inc. (NYSE: ZTO) reported today that its revenue for the third quarter jumped 34.7 percent to $616.6 million compared with a year earlier. Net income was $154.2 million, or 20 cents per fully diluted American depositary share, representing a year-over-year increase of 48 percent from $104.4 million, or 15 cents per share. The Shanghai-based company, with nearly 17 percent of market share with 2.1 billion parcels deliver, said its volume increased nearly 37 percent from a year ago. "ZTO achieved strong volume growth and generated sound financial performances during this quarter," said Meisong Lai, the company's founder, chairman and chief executive officer. \"According to a survey conducted by the China Postal Bureau, ZTO ranked first among China's leading express delivery companies for having the least customer complaints in the June through September period. Our strategy of achieving profitable volume growth and consistent market expansion is working effectively." In a separate announcement today, the company also said its board of directors approved the repurchase of up to $500 million worth of its ADSs over the next 18 months. "This share repurchase program reflects our confidence in the overall market opportunities as well as ZTO's solid operating fundamentals and financial strength for sustained profitable growth and value creation for our shareholders," Lai said. ZTO, which climbed nearly 2 percent during the day to close at $16.08 per share, jumped an additional 42 cents per share in after-hours trading after the earnings were announced. Farmmi, Inc. (Nasdaq: FAMI), an agriculture products supplier in China, today announced that it closed on November 8, 2018 a previously announced securities purchase agreement with an institutional investor, raising approximately $7.5 million in the private placement. After deducting offering expenses, the net proceeds will be used for general working capital purposes. The securities sold by the company in the private placement consisted of (a) senior convertible note with an aggregate principal amount of $7.5 million which is initially convertible into an aggregate of 1,198,084 of the company's ordinary shares at $6.26 per share and (b) warrants to purchase an aggregate of 800,000 ordinary shares at an exercise price of $6.53 per share. Baidu Inc., the top internet search provider in China, announced the pricing of its public offering of $1 billion in corporate notes. The offering consists of $600 million of 4.375 percent notes due 2024 and $400 million of 4.875 percent notes due 2028. The company said it expects to receive net proceeds from the offering of about $990 million and intends to use the proceeds to repay existing indebtedness and for general corporate purposes. The joint bookrunners of the offering are Goldman Sachs (Asia) L.L.C. and J.P. Morgan Securities LLC. Shares in Ctrip.Com International Ltd. (Nasdaq: CTRP) tanked more than 18 percent in early trading Thursday after the company, Asia's largest booking platform, reported soaring net loss for the third quarter. In a statement posted after-hours on Wednesday, Ctrip reported net loss of $165 million, or 30 cents per share, in contrast to income of $212 million a year ago. In response, the stock of the booking giant shed $6.30 Thursday morning to $28.14 per American depositary share. Meanwhile, Citibank analyst downgraded the company to "neutral" from "buy," and lowered its target price to $35 per share from $41. Citibank initiated coverage of Huya Inc. (NYSE: HUYA), one of China’s top game livestreaming platforms, with a “buy” rating on Monday. Analyst Hillman Chan noted a “multi-year sector uptrend” in China’s gaming and livestreaming business and set a target price of $26 for the Tencent-backed (HKEX: 0700) company, representing an upside of 37 percent from Friday’s close. Despite Citi’s optimistic outlook, shares in Huya were trading down nearly 7 percent intraday Monday at $17.76 per American depositary share. BEIJING (Reuters) - China’s foreign ministry has some suggestions for the Trump administration if it is worried about foreign eavesdropping on the U.S. president’s iPhones: use a Huawei handset instead. The riposte came after the New York Times reported that American intelligence reports indicated that Chinese and Russian spies often listen in on President Donald Trump when he uses his Apple Inc. (Nasdaq: AAPL) cellphones to chat with old friends. Speaking at a news conference on Thursday, she also offered two suggestions apparently aimed at the Trump administration. “If they are really very worried about Apple phones being bugged, then they can change to using Huawei,” she said, referring to China’s biggest telecommunications equipment maker. Credit Suisse has initiated coverage of Chinese electric vehicle company Nio Inc. (NYSE: NIO) with an “outperform” rating and a target of $12.60 per share, a 72-percent upside to Friday’s close. In response, shares in Nio spiked briefly in premarket trading, then retreated to $7.08 per share, down more than 3 percent, in the early afternoon Monday. Previously, a number of banks have initiated coverage of the Tesla-wannabe, issuing mixed ratings on the company. Deutsche Bank set a “buy” with a $9.50 target, while Goldman Sachs and Citi both assigned a "neutral" rating for Nio, projecting a price target of $6.56 and $7.20, respectively, for the shares. Last week, Nio said it delivered 3,268 electric SUVs in the third quarter, exceeding its own target of 2,900 to 3,000 vehicles. Asia’s largest travel booking platform, Ctrip.com International Ltd. (Nasdaq: CTRP), announced today its strategic partnership with Radisson Hotel Group as the U.S. hotel chain is pushing its expansion in China. “With our influential industry-leading position in China, our huge consumer base of more than 300m travelers and AI-driven insights into Chinese consumer behavior, we’re perfectly positioned to help Radisson Hotel Group expand its reach both at home and abroad,” the CEO of Ctrip Accommodation Business Unit, Ray Chen, said in a statement today. Despite the news, the stock of Ctrip declined more than 6 percent Thursday to $32.76 per American depositary share. Former chairman of China Huarong Asset Management Co. Ltd. (HKEX: 2799), Xiaomin Lai, had three tons of cash stashed at home, as reported by Caixin Global news agency. Lai, who resigned from China’s biggest bad-debt manager in April after being investigated for corruption, was reportedly accepting bribes through his mother. Nearly $40 million in cash were uncovered in properties tied to his name, the agency reported. In addition, the executive had more than 100 mistresses, some of whom received top positions in Huarong’s subsidiaries, Caixin said. State-backed Huarong, which has been handling distressed assets in China since 1999, has been under government scrutiny in recent months. Earlier in October, possible new cases of fraud have emerged involving the giant, which has been suffering losses since Lai’s resignation. The changes include “a redesigned logo, modern store fit out and exclusive new uniforms,” the Chinese restaurant chain operator said in its announcement Monday. Pizza Hut has partnered with New York designer Anna Sui to create a line of staff uniforms for the casual dining brand. Shares in Yum China inched down 53 cents to $32.37 per American depositary share by Monday afternoon. Tencent Holdings Ltd. (HKEX: 0700) reported today its stake in Bilibili Inc. (Nasdaq: BILI) after last week, the tech giant announced it has committed a $317.6 million investment in China’s most popular anime and entertainment platform. In the filing, the conglomerate said it controls 16.3 percent of Bilibili through its subsidiaries since Oct. 3. One of the subsidiaries, development unit Tencent Mobility Ltd., is an existing, pre-IPO investor in Bilibili, having funded $4.6 million in the company in May 2017. With its latest funding, Tencent extended its reach deeper into China's entertainment market. Shares in Bilibili closed up 8 percent at $13.71 per American depositary share Friday. U.S. President Donald Trump and Chinese President Xi Jinping plan to meet at the G20 summit in Argentina in late November, the Wall Street Journal reported on Thursday, citing officials in both countries. White House economic adviser Larry Kudlow told reporters at the White House on Thursday that a meeting between the two leaders at the global gathering in Buenos Aires is under discussion. The9 Ltd. is transferring from the Nasdaq Global Market to the Nasdaq Capital Market, according to its announcement today. Its American depositary shares will continue to be traded under the ticker "NCTY." The change resulted from the internet company's failure to regain compliance with the continued listing requirement of the Nasdaq Global Market of maintaining a minimum of $50 million market value of listed securities. To avoid delisting, The9 has decided to transfer its listing, the company said in a statement Wednesday. The9's shares shed 6 cents intraday, trading at $1.30 per American depositary share in the afternoon. President Donald Trump on Tuesday repeated his threat to impose tariffs on $267 billion worth of additional Chinese imports if China retaliates for the recent levies and other measures the United States has taken in the countries' escalating trade war. Trump, speaking to reporters in the Oval Office, also said China is not ready yet to reach a deal on trade and that a couple of meetings with the country have been canceled. Tencent Holdings Ltd. (HKEX: 0700), together with New York investor KKR & Co. Ltd. (NYSE: KKR), have invested a total of $175 million in newly-issued shares of Voyager Innovations, a FinTech company based in the Philippines. The funding, expected to close in the fourth quarter, would give Chinese tech giant Tencent and KKR a minority stake in Voyager. PLDT Inc., the Philippines’ largest telecommunications company, would remain Voyager’s largest shareholder upon the deal. Voyager’s platform supports the Philippines’ most popular digital wallet, PayMaya, as well as the country’s largest online lending company, Lendr, and mobile remittance network, Smart Padala. Beijing responded to U.S. Vice President Mike Pence on Friday, calling his allegations "ridiculous" and "slanderous." The statement came after Pence accused China's government of waging an "unprecedented effort to influence American public opinion" in lieu of looming midterm congressional elections in November. “To put it bluntly, President Trump’s leadership is working; China wants a different American president,” Pence said in a speech Thursday. “There can be no doubt — China is meddling in America's democracy." China's foreign ministry said on Friday that Pence's claims were "groundless" and urged Washington to stop hurting the relations between the world's two largest economies.